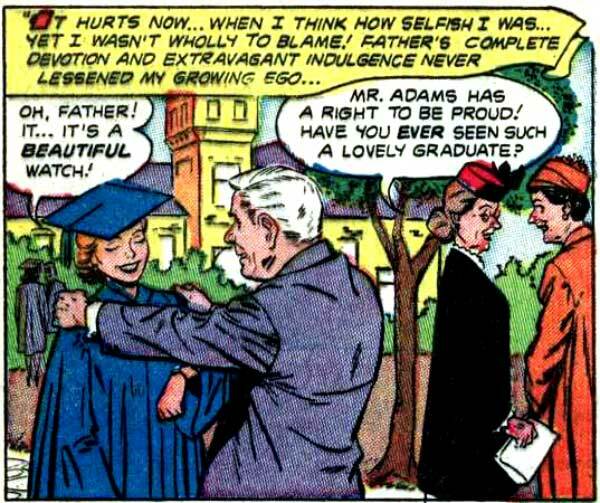 Congrats to all the graduates—and their proud parents. SCENE: Female college graduate in commencement robes smiles as her proud father holds her by her shoulders. FEMALE GRAD: I’m sure I’ll get tired of this…in a few hours! FEMALE GRAD: I'm sure I'll get tired of this...in a few hours!